The Man Booker Prize: how much is it worth? Is the Man Booker Prize a byword for literary quality, or has its reputation been tainted by its own commercialism? This was one of the key questions raised last Thursday at ‘Best of Fiction? The Man Booker Prize and Literary Value’, hosted by Edinburgh University Literature Society. Speakers included Napier’s own Alistair McCleery, whose work as Director of the Scottish Centre for the Book placed him in a unique position to comment on the cultural impact of the award and its importance for publishers. The Man Booker Prize has courted controversy almost since its inception, with politically-motivated authors, loose-lipped judges and accusations of elitism all providing rich fodder for the hungry media – and excellent publicity for the authors and publishers. Indeed, Professor Jonathan Wild stated that it’s the only award where not making the shortlist generates news, referring to the omission of Martin Amis’ London Fields from the 1989 shortlist. It has also been criticised for its bias towards English writers, despite its supposing to represent more than 50 countries. Professor McCleery was often the only voice of dissent within a panel that focused, in the main, on the positive aspects of the Man Booker. After opening praise for its ability to draw readers together and increase exposure to literature, Professor McCleery was keen to point out that: “all literary prizes lie on a spectrum between art and commerce”. He reminded those present that winning a literary prize both provides validation for the decision to produce a book and helps to build a brand. Neither of these factors should be ignored by aspiring publishers. Taking into account these commercial concerns, the panel discussed whether the Booker is able to represent genuine literary quality. Author and former literary editor Andrew Crumey talked about its inbuilt conservatism, its mechanisms ensuring that previously-nominated novelists are guaranteed entry to the longlist, potentially to the exclusion of little-known authors. This conservatism is also reflected in its rejection of more controversial titles such as Irvine Welsh’s ‘Trainspotting’, which was unceremoniously removed from the 1993 longlist after protests from two of the judges. It was also suggested that judges’ decisions may be affected by the intense scrutiny of the public and the media, as well as more ‘nepotistic’ considerations, so as Professor McCleery cautioned, “may not necessarily represent a consensus on literary value”. How is all this reflected in book sales? It was pointed out that awards can function like a ‘personal recommendation’ of good quality fiction for readers, as well as providing a helping hand to first-time or previously unknown novelists. The relative diversity of this year’s longlist certainly supports this view, as does the prize’s expansion to include novels from anywhere in the world (provided they are in written English and published in the UK). Professor McCleery more cynically claimed that the prize caters for a “cautious” book-buying public, who need to see a ‘recommended’ sticker on a book before parting with their money – though in a straw poll he conducted among the audience, none of the attendees seemed keen to confirm this theory. 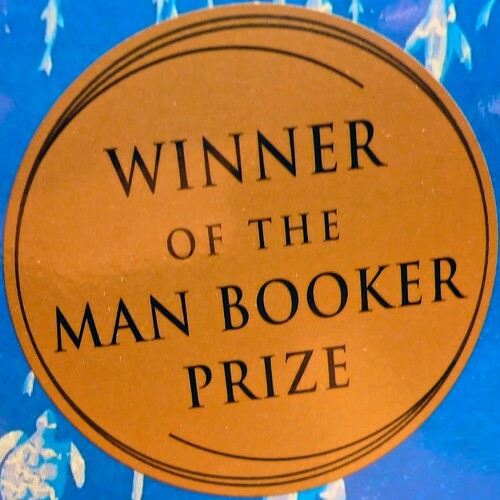 It was clear from the debate that the Booker, variously referred to as “a lottery ticket”, of “massive prestige” and “middlebrow” by the panellists, is still a contentious prize. Whether it is able to successfully tread the fine line between commercial and literary value in the future remains to be seen, but as publishers, it’s certainly a line that we can’t afford to ignore. This is a really important and complex question – similar to Grayson Perry’s recent Reith Lecture regarding art – what it is, who decides what’s good and the merits of knowledge and critique within the arts and among the audiences. I don’t think outright snobbery is ever helpful, but I do believe constructive critique is essential – if that’s what the Booker does, then it’s good enough for me. Previous Previous post: Welcome Budding Publishers! Next Next post: Congratulations to new Graduates!